What are you afraid of the most? Spiders, darkness, vampires…? Human being always fears the unknown. And our students on www.spanishviaskype.com are not an exception. 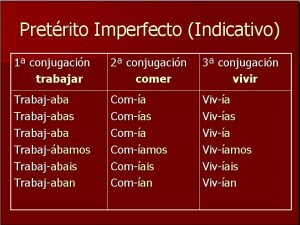 One of the scariest verb tenses in Spanish is the Pretérito Imperfecto de indicativo (Imperfect past). Why is this unknown? This tense doesn’t exist in many languages, including English. What does “perfect” or “imperfect” means, according to linguistics? The point is the action of the verb. If the tense expresses a completed action, we say that ii’s a perfect tense; if the action is in progress or not finished, we are dealing with an imperfect tense. Ayer cené con mis amigos (Yesterday I had dinner with my friends). In this sentence, I started eating and I finished it. The Pretérito Indefinido is a perfect tense. Los fines de semana, ceno con mis amigos (I have dinner with my friends at the weekends). This is just a habit, I don’t mean I start or finish eating, just a routine. So, the Presente de Indicativo is an imperfect tense. En aquella época, cenaba con mis amigos (At that time, I used to have dinner with my friends). Again, we are talking about habits, although not in the present, but in the past. 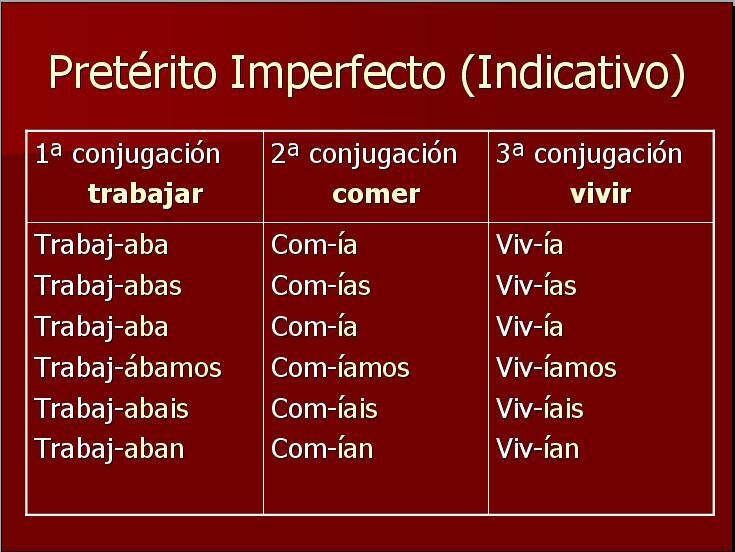 Thus, the Pretérito Imperfecto is, of course, an imperfect tense. And there it is the first use of this difficult tense: habits or routines in the past. Actions that you used to do; things which often happened. Cuando estudiabas español en el colegio o en la universidad, ¿pensabas que el Imperfecto era muy difícil? ¿Intentabas usarlo pero siempre te equivocabas? (When you studied Spanish at school or at the university, did you think the Imperfect was very difficult? Did you try to use it but you always made mistakes?). Don’t worry, learn Spanish via Skype with us and you’ll know how to use this tense. Stay tuned for upcoming posts on this blog: we’ll learn all the uses of the Imperfect tense. Thanks for the post! Very useful! I read all your posts because I love the way you explain this kind of staff. I really love Spanish, but I hate studing verb tenses… Too hard! Thank you, Drew. I really appreciate your comment. I know sometimes it’s difficult to learn verb tenses. I hope you can understand them by reading our blog.